Our team of over 400 volunteers do amazing things every day – supporting children and young people in education, delivering wheelchair skills sessions, helping out on courses, mentoring people, raising vital funds, joining us in the office, helping at events, raising awareness, advising and helping us in so many ways. Some of our volunteering roles are specifically for people with a spinal cord injury, family members or professional care staff. But we’ve got lots of opportunities that are open to everyone. 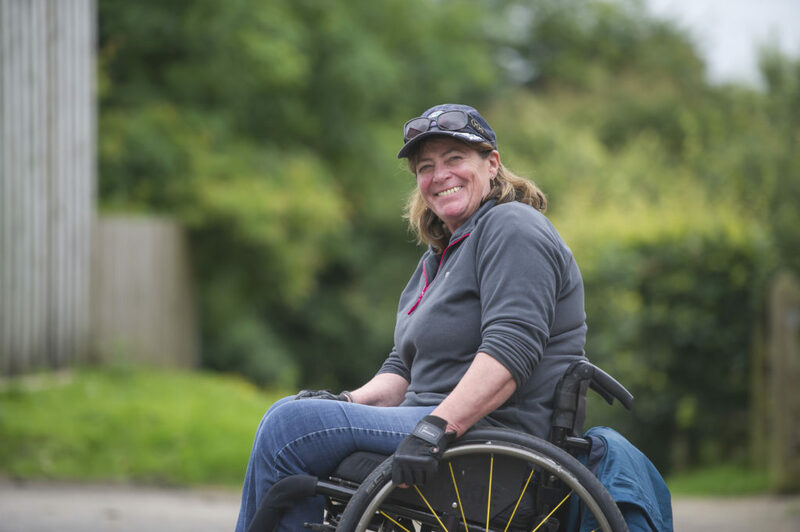 And whether you have a spinal cord injury or not, volunteering with Back Up is challenging, fun and incredibly rewarding. It could even change your life! For more information, email or call us now on 020 8875 1805. You can also download a general application form below for most of our volunteering roles. There are specific application forms for both family mentors and spinal cord injured mentors below. Please make sure you download the correct version and return it to the email address indicated on the form.